Do you like knitted socks, sweaters, and other articles of clothing, but you never have the time to sit down and knit? Even the simplest patterns can take days to create, but I have found a way to get the same great quality without consuming all of my time. A circular knitting machine makes knitting so easy; in fact, creating a pair of socks will take you less than an hour. This means that you will easily be able to make anything that you want to give as a gift to your friends and family this holiday season. In this guide, I am going to talk a little bit about circular knitting machines, the different types that are available to you, the technology behind the machines, and teach you how to use them so that when you purchase your own circular knitting machine, you will have all of the information that you need to start knitting. Circular knitting is when you create something that has a circular pattern without leaving a seam behind. Some of the most common articles of clothing that use this type of knitting are socks and mittens. There are a few techniques that you can use to speed up the creative process of knitting, but a circular knitting machine can be a great option. When you use one of these machines, the yarn will be weaved around the rim of the machine. This is called the needle bar, and it will move back and forth as another bar pressed down on the needles to release the yarn and create a stitch. Since some machines have more than 200 needles, it speeds the process, especially when you are attempting to knit more complex patterns and use multiple colors in your creation. Typically, a knitting machine such as this will be used as a way to produce a lot of items in a relatively small amount of time. If you have a business that manufactures knit clothing, you will benefit greatly from this type of machine because it will cut your production time in half. In fact, you are likely to nearly quadruple your production rate, so if you are backed up on orders, this is a great way to catch up and be able to accommodate more customers. When you use one of these machines, you will find that the knitting principles of this circular design are very similar to that of a flatbed machine. The main difference is that you can keep going with a circular machine because there is not going to be a start and a stop point because you are knitting without seams. Of course, one of the main parts of this machine that you are going to need to consider is the needles. Without working needles, you will not be able to knit. There is also a needle detector on the machine that shows you whether or not there are flaws on the current needles that are being used. I prefer to use Germany Groz Beckert needles, but use whatever feels best for you needs. Basically, there are three types of needles that you can choose between. The latch needle is designed with a simple small hook and latch that work together to move the yarn where it needs to be. The second type of needle is called a spring bearded needle, and it is designed with a much larger hook and a small spring surface that will bounce the yarn into place. The third type of needle that you may use with this machine is a compound needle. This type of needle has a smaller hook and a tongue that moves up and down to secure and release the yarn. The positive feeders, which is also known as the MPF, is designed to give positive feed to the machine at the speed that it needs it. With a positive feeder, the yarn is fed through using loops that maintain a specific speed so that the knitting is consistent. There are also negative feeders that function using tension that are used on some machines. This is basically the round part of the machine where the needle track is situated. You will need to make sure that this part is properly aligned so that your garments turn out the way that you want them to. The size of the cylinder will vary in size based upon the size of the actual machine that you are using. The sinker is the part of the machine that coordinates with the needle to create a stitch. The sinker pulls down the loop and holds it in place while the needle pushes the yarn into the loop. The sinkers are also designed to support the fabric once it is stitched so that it does not pull too much on the yarn. Cams are a part of the circular knitting machine that moves the needles into position when a stitch is about to be created. There are two types of cams that you may find in the machine. The first is a needle cam that is designed to help the needle move. These cams are stationary, but the needles will move around their position. Sinker cams are the second option, and these cams are designed to help the sinkers move. These cams can vary in size based on the type of sinker the machine has. Here is a diagram to show you exactly how cams work. As with any machine, lubrication is important when there are multiple moving parts, and the same is true of any circular knitting machine. Spray lubrication that can be misted from a container is a great option that will ensure that you do not get oil on the yarn that you are using to make clothing. When you use this machine, you are not going to move the needles, by hand, which means that some type of motor will be required to ensure that it gets the job done. With that being said, motor needs to be maintained. It may not require a lot, but if you do not keep it in good condition, it will need to be replaced more frequently. The inverter will also need to be maintained because it is designed to rotate as the machine is in use. If it is not working properly, the speed of the machine will not be consistent. When you have a large circular knitting machine, this is the part that is designed to hold the yarn before it is fed into the machine. This ensures that there are no tangles in the yarn, and it is ready to go when you need it. This machine is designed to knit the yarn in a vertical fashion, so you will notice that the fabric will have yarn running lengthwise in the finished garments. 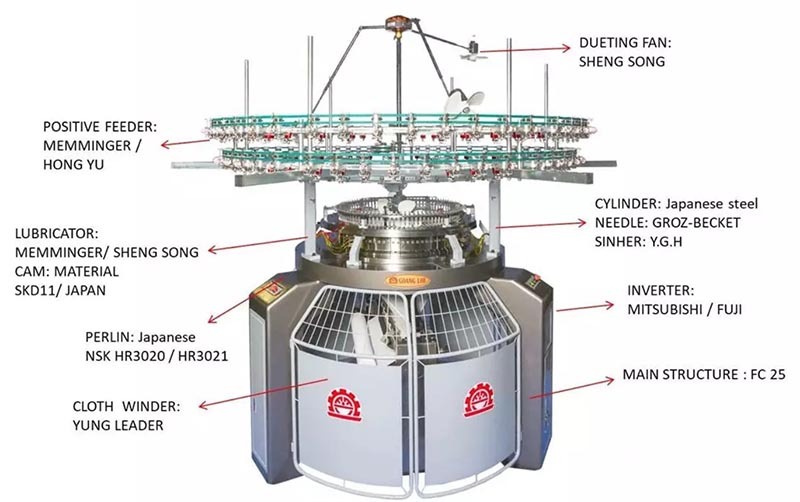 Since this type of machine used a lot of threads at the same time to bind the yarn together, it is considered to be run-proof, which means that the colors will be separated. Warp knitting can be divided into three different types of knitting, all of which can be created using this machine. Milanese – This type of knitting uses several different sets of yarn. This creates a rib effect on the fabric that many individuals love. 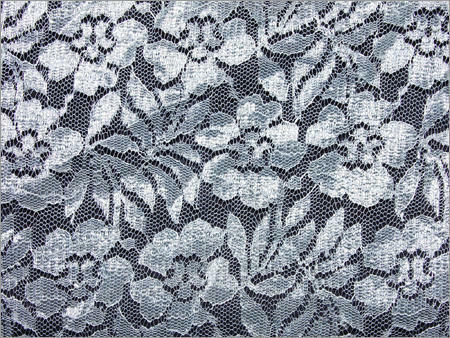 Raschel – This is a type of knitting that is often used on lacy patterns that have a lot of intricate detail. The fabric turns out to be coarse when it is finished, mainly because the stitch is so tight. Tricot – Tricot knitting results in a fabric that is tightly knit. Typically, the fabric resembles a mesh-like fabric, and it is often seen on sweaters. A welf knitting machine is designed to accommodate knitting patterns that have one continuous circle. There are no breaks or seams in the design, which makes the sweater have a horizontal pattern when it is complete. Since this is one long pattern, if something happens to the yarn, it can unravel the entire garment. Straight – A straight knit is one that is very commonly used, especially amongst beginners. This can be done with a double needle or a single needle, but the finished product will have perfectly straight lines from beginning to end. Flat – Flat knitting is when you go back and forth across the garment that you are creating. This is commonly used for sweaters and fashion garments. Circular – This is the type of knitting that you will do with a circular knitting machine because it allows you to allow the treads to by looped together continuously without any breaks or seams. If you break the category of machines down even further, you will find that there are different types of circular knitting machines that you can use. A single jersey knit has a bit more of a stretch to the fabric, while a double jersey knit is a bit more taught. The stitch is much closer together with a double knit because it is effectively twice the amount of stitches in the same amount of space. There are machines where the needles are anywhere between 3.6 millimeters apart to nine millimeters apart, so you can create garments with thick, bulky thread or something that has small threads so that you have a much tighter knit. Three Thread Fleece Circular Knitting Machine – This is a machine that will make fabric has a bit of elasticity to it. The machine is designed to run at high speeds as it combines the threads to create a fleece material that you might find in a sweater. 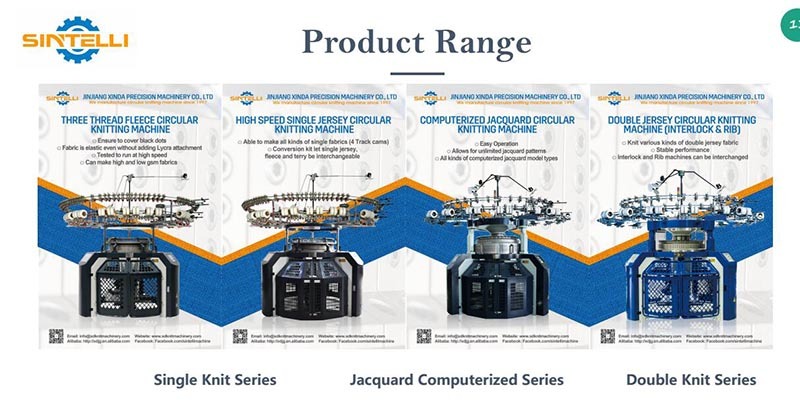 High-Speed Single Jersey Circular Knitting Machine – This is a single knit machine that is a little more versatile, which means that it can be used for multiple types of fabric. In fact, there is even a conversion kit that you can use to interchange fleece, terry, and single jersey with this machine. 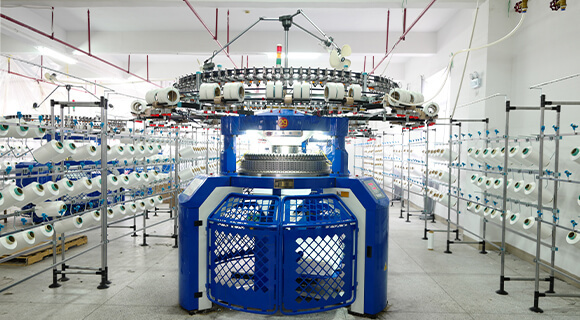 Double Jersey Circular Knitting Machine – This is a machine that is designed for double stitch garment creation. It can utilize several different types of double jersey fabrics, and the thread can easily be interlocked or ribbed. Computerized Jacquard Circular Knitting Machine – This is a type of machine that can be utilized for a number of jacquard patterns, which are typically intricate floral and geometrical patterns. Knitting fabric can be a time-consuming process, which is why most manufacturers use a circular knitting machine to speed up the process. With these machines, you can create garments that are made from a number of different materials as well as yarns that vary in thickness, color, and texture. In most cases, the knit pattern that is used is intricate, so this machine has a lot of moving parts that reduces production time drastically. One of the most important parts of any circular knitting machine is the yarn feeding system. This is where the spools of thread are positioned as the fabric is being knit together. In general, there are two different ways that the yarn feeding system can work. The first is a circular rack that is positioned above the machine. The yarn is guided into the machine with pegs and sensors that work together to keep the yarn form becoming tangled as it is fed into the machine. If a knot is noticed or the yarn breaks because the tension is too much, the sensors will automatically stop the machine. This is commonly used on machines that have rotating cams. The other option is a lateral creel, which is a large structure that feeds the machine from both sides. Typically, this is used on a machine that has fixed cams. This option also has sensors that will stop the machine if something is wrong with the yarn. They take up a lot of space on the floor, but this machine will also be able to feed a lot of spools of yarn through the system. When you are using a circular knitting machine, each thread guide that you see will correspond to a different spool of thread. The thread guide is located close to the needle so that it can catch any inconsistencies in the yarn before it is stitched together. When the garment is complete, the gripper will clamp down on the yarn as scissors cut the garment from the spool. The knitting head is the part of the machine that controls the gripper, but it is also the part of the machine that controls the actual needle. The sinkers are also an important part of the machine because they hold the finished portion of the garment away from the moving needles. Each sinker is designed with two main parts, the nose and the breast, which work together with the sinker cams. In order to optimize the speed that these machines function at, there are inverter drives that can adjust the speed at any time. Modern machines are fitted with computers that can help you monitor the speed of the machine, the number of revolutions each minute, the length of the yarn that is remaining on the spools, and the reason that the machine stops. To help keep the machine from stopping, there are blowing machines and fans that keep stay yarn, dust, and debris out of the moving parts of the machine. 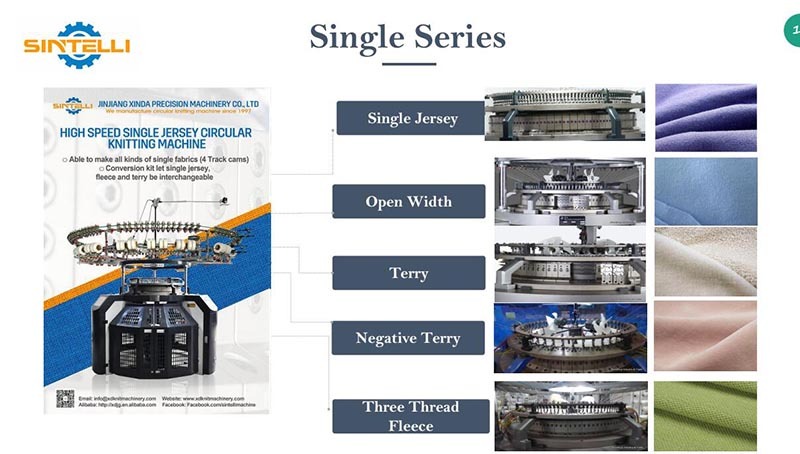 If you would like a visual to help you understand how the different parts of this machine work together, here is a video that shows the process of a circular weft machine. This is one of the knitting machines that have a very simple process to follow, at least when it is compared to other machines. For the yarn to get from the spool to the knitting machine, it travels from the cone, which is located on the creel, through a tension adjuster that ensures that the yarn has the right amount of tension for the specific knit that is being used at the time. Then, the yarn goes through a tube to the positive feeder and the yarn carrier. To continue to the needle, the yarn must then go through a knot catcher to keep it from getting tangled on the way. Next, the yarn will bypass a magnet that is inside of the machine to put pressure on the yarn, and then it travels through a feed wheel, a yarn tensioner, and a ceramic eye. Finally, the yarn is fed through the final feeder into the needle where the knitting process begins. Here is a video that shows how to feed the yarn through a smaller circular knitting machine that you may have at home. Knit Stitch – This is the most basic type of stitch that you will use. It is a stitch that is carried on the knit cam in the machine, and the loops are replaced with new yarn each row. Tuck Stitch – This is also a common type of stitch. With this one, the needle picks up new yarn while keeping the current yarn on the hook as well. In other words, the new and the old loop will intermesh in the pattern. Miss Stitch – This type of stitch is made by two loops in the yarn that are not next to each other. Knit and Purl – This is a combination of two different stitches; the knit stitch is a V-shape while the purl stitch is more of a semi-circle. To create a hat on one of these machines, you will need to start by choosing the yarn that you want to use for the project. Most yarns will work in these machines, but some brands may not accommodate bulky yarn, so make sure to check if you use this type of yarn frequently. Start by feeding about 12 inches of yarn into the center of the machine. Crank the handle to pull the yarn into position, and then hook the yarn on the hook that holds the beginning of the garment in place. This is typically found on the underside of the machine. Turn the crank in a clockwise fashion so that it pulls the yarn tight as you loop it on every other hook. Do this until you have gone around the machine one full cycle, and then loop the yarn over the original hook again. Thread the next five hooks, and then pull it through the grove while keeping it taut. Keep cranking the machine in a clockwise fashion to create more rows. Make sure that you pull down on the bottom of the tube as it comes out of the machine so that it does not snag. Make the tube as long as you want it to be, but an 11-inch tube will give you a hat with a brim, and a 14-inch tube is long enough for a double brim. When the hat is the desired length, remove it from the machine leaving a strand of yarn that is at least 24 inches long so that you can close the tube to create a hat. Make sure to fit the hat to your head before you create a double knot to secure it. Cut off any excess yarn, and your hat is complete. If you want to add a pom pom to the top of the hat, simply create the pom pom using yarn, and secure it where you created the knot. The easiest way to create a pom pom is to wrap yarn around a piece of cardboard. Tie the middle of the loop of yarn tight, and cut the ends. Circular knitting machines can be used to make a number of different types of clothing and other things. 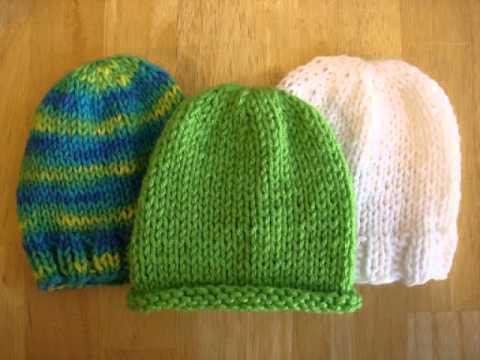 The hat that is detailed above is a pattern that is easy to create because it is just a single tube. Other clothing that can be created with one of these machines includes polo shirts, t-shirts, skirts, dresses, sweaters, socks, and more. You can even make pajamas and leggings with a circular knitting machine. Outside of clothing, you can make curtains, towels, blankets, interior linings, and more. As you can see, a circular knitting machine can shave a lot of time off of the knitting process. Whether you are planning on knitting at home or you have a business where you need to mass produce knitted products, you will find that owning one of these machines can benefit you greatly. In fact, in most cases, you will only need to thread the machine and let it create rows of the chosen stitch pattern until the garment is the required length. If you are looking to purchase one of these knitting machines, hopefully, this guide has helped you learn a little bit more about the machine so that when you purchase one that works for your needs, you are ready to begin knitting.